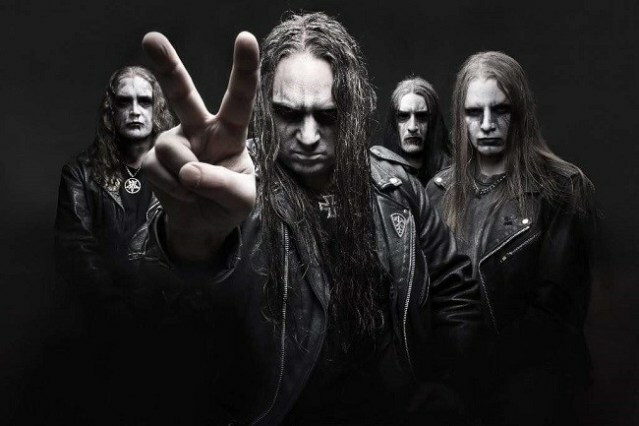 Death Metal Underground: Marduk Accused Of Being Nazis…….Again! It really doesn’t matter if it is true or not. Let’s be honest here: any Swede (or any European for that matter) who isn’t thinking today about current dominant moral and socio-political paradigm, isn’t questioning it and juxtaposing against his own supra personal identity, but is instead seeking refuge in “satanism”, shallow individualism and material welfare, thinking that everything will be fine and that he will somehow come on top thanks to his oh so unique and smart cynicism, is simply fooling himself, for men can only live if their nations live also. In fact domesticated subhumans so readily resign themselves, like cattle stuck in a mud, under slightest pressure that said excuses must be treated simply as a way to cope with their weakness, helplessness and impotence. As for Marduk you probably should support them by only buying their 90s albums in order to show them that their artistic peak is long gone. Neither. That’s Sigrblot, their drummer used to play for Dark Funeral. The vocalist sounds a bit like Arioch, but isn’t. Didn’t this happen last year? Did you happen to read an article about it and didn’t check the date? No – it’s just a mention, although I should probably frame that differently. DMU didn’t mentioned it back then, but it just keeps coming back. What Marduk supposedly did goes beyond your standard artistic ambiguity and remains a strong argument against them. You will hear about it whenever they are going to play near you, and usually there will be a bit of struggle in this matter. There is also awful lot of trending for such bands on bandcamp and elsewhere. We should call those terms what they are: buzzwords. String enough of them together and you have a product for neurotics.